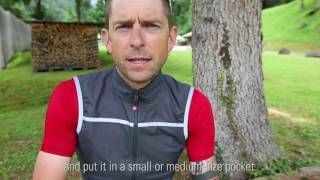 Introducing the Castelli Superleggera Vest. Ideal for the seasoned rider who needs additional protection in the summer months, this vest is incredibly light, and offers complete windproof protection. Ultra lightweight, breathable, packable, water and wind resistant, the Superleggera Vest is perfect for unpredictable weather, just stash it in your pocket and you're ready to go.